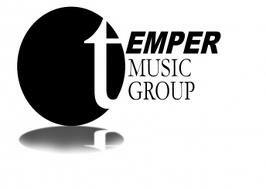 Vyzion is proud to announce its alliance with Temper Music Group. Vyzion got its humble beginnings as a small record label. Vyzion has since changed its strategic direction to become a premium multimedia marketing company that specializes in multimedia videoproduction, internet marketing and radio advertisement for small to medium size businesses. Vyzion also provides the same type of services for artist that want premium web and social media exposure, BDS and Media Base services. Vyzion has captivated the world with its Internet Radio Station that now has a presence in 94 countries and over 2200 cities worldwide. This fast expansion has pushed Vyzion to seek the help of Temper Music Group that has the same growth projections as Vyzion. Temper Music Group is a Premiere Indie Label that has the potential of being the next major record label. Temper Music Group is a global recorded music company with a roster that includes a broad array of artists and international superstars. The company boasts a vast catalog of recorded music. Temper Music Group is a subsidiary of the Temper Group and parent companies Down To Earth and Creative Sustainable Solutions, which is home to a premier record label representing music from every genre. Temper Group is a wholly owned Corporation with divisions in music as well as film and television. TMG recording artists are developed and produced in house by the Promiscuous Music/East Wing writing and production team consisting of Multi Platinum, Grammy, Billboard and ASCAP Award winners Calvin Gaines and Michael Moog. Promiscuous Music also serves as A&R for the label bringing talent that is undeniable and unmeasured. TMG strives to provide future artistic contributions to both the entertainment industry as well as to the culture of music while facilitating its preservation. TMG provides an extension of classic and real music representation with the same quality and long life presence to the entertainment industry. The collaboration of these to great companies is sure to change the music industry by providing a no nonsense approach of audio production, distribution and internet marketing. These two companies are sure to be huge successes and will be around for years to come. Vyzion Internet Radio spins worldwide and national Dj mixes 24/7. So the party never stops! From the car, the office, the gym, or your home, you can listen to Vyzion radio anywhere. Vyzion Internet Radio is comprised of an international team that is delivering the best of entertainment, music, and news. We offer free IPhone and Droid Apps Contact us at 1-800-957-9650.